Eric Jensen says, "The Lens has raised the bar for investigative journalism by delivering top tier coverage of issues in New Orleans." Serve as an ambassador of The Lens and an advocate for the organization’s mission. Chair or serve on at least one committee and participate actively in the work of the committee(s). To give or get an annual financial contribution according to one’s ability and actively participate in the fund-raising activities. Stay current with all items posted on The Lens. Exercise oversight and vigilance with regard to the mission being carried out by all parties. The Lens’ board of directors uses a matrix of attributes, including but not limited to, ethnicity, gender, profession, and community involvement. Our organization is mindful of the importance of a diverse and engaged board of directors with a vision for long-term sustainability. Cohen, co-founder of The Lens, is an award-winning journalist with more than a decade of experience reporting on urban development, planning and politics. 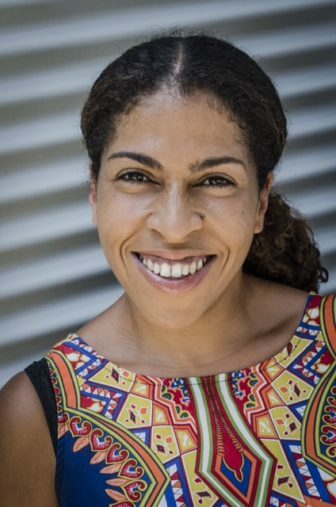 She currently is managing editor for PlanPhilly, a project of WHYY News providing in-depth, original reporting on Philadelphia’s neighborhoods with a focus on urban design and planning, transportation and development. Previously, Cohen was editor-in-chief of Next City, the country’s leading independent online urban policy website. Before co-founding The Lens, she started her career as a staff reporter for the Brooklyn Paper in New York. 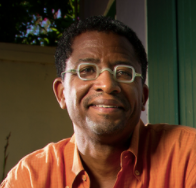 Lolis Eric Elie is a New Orleans born journalist and television writer who worked as a metro columnist for The Times-Picayune for more than a decade. He divides his time now between New Orleans and Los Angeles. In 2005, in collaboration with Jane Jacobs, Ms. Gratz and a small group of accomplished urbanists founded The Center For the Living City. A native and resident of New York, she was appointed by Mayor Michael Bloomberg to the NYC Landmarks Preservation Commission and served on the task force that oversaw transformation of the West Side Highway and waterfront. Ms. Gratz is a trustee and former head of Public Policy of the New York State Preservation League; a former Vice-President of the Salzburg Conference on Urban Planning and Development and a founder and President Emeritus of the Eldridge Street Museum, the effort to restore the historic Eldridge Street Synagogue on the Lower East Side and to establish a Jewish Heritage Center on the site. Ms. Gratz also is a founder and former board member of the Writers Room at the New York Public Library, the first urban writers colony in the country. 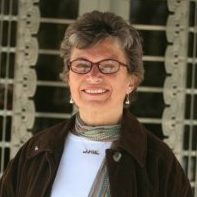 Sue Mobley is a New Orleans based urbanist, organizer, and advocate. Co-Director of the public art and public history project Paper Monuments, she splits time between Tulane’s Small Center and Colloqate Design a non-profit design justice practice. Nichols, a CPA, is retired partner and director of tax and employee benefit services with the New Orleans accounting firm of Bourgeois Bennett. She also has specialized in pension planning, estate planning and tax consulting. A longtime volunteer with nonprofits, Nichols serves on several boards and supports and mentors many organizations and individuals. She also contributed to her chosen professional organizations by teaching and serving on committees. She was awarded the 2008 Society of Louisiana CPAs and the national American Institute of CPAs Public Service Awards. In 2010, the Young Leadership Council selected her as one of their Role Models. 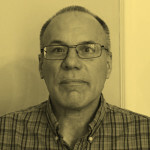 Pedersen is a design and architecture writer and editor. He is executive director of Common Edge Collaborative, a non-profit organization and online publication dedicated to reconnecting architecture and design with the public that it’s meant to serve. He previously was longtime executive editor of Metropolis Magazine, an award winning monthly publication on architecture and design. During his tenure, the magazine was nominated twice for a National Magazine award for general excellence and was cited as one of the leading editorial voices in design. In addition to his role as an editor, he wrote extensively for both the magazine and the website. His work has also appeared in the New York Times, New York Magazine, The Nation, Fast Company, Architectural Record, and other outlets. He is co-author of Robert Polidori’s Metropolis (Metropolis Books, 2003). 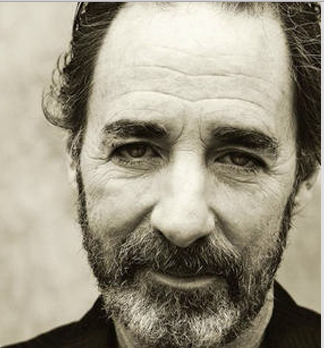 Comedian, musician, author, actor and commentator, Harry Shearer is best known locally for the public radio broadcast Le Show, the satirical review of the week’s news syndicated internationally. A native of Los Angeles, Mr. Shearer covered the Watts riots for Newsweek in his early days as a journalist and now divides his time between residences in New Orleans and London. He found huge success voicing various characters on “The Simpsons” — notably Mr. Burns, Smithers, and the insufferable neighbor Ned Flanders — and also collaborated starred in the 1984 cult film “This is Spinal Tap,” a send-up of rock-band pretentions that continues to delight audiences worldwide. The film has spawned a stage version with which Mr. Shearer occasionally still tours. A true renaissance man, he has written a novel, won a Grammy nomination for albums of satirical songs and impersonations. He has received two Cable Ace Awards. Among many film credits, Mr. Shearer wrote and directed 2010’s “The Big Uneasy,” an award-winning documentary investigating Hurricane Katrina and the flooding of New Orleans. Mr. Shearer’s most recent project is a new TV comedy-drama called “Nixon’s the One,” a six-part series in which Mr. Shearer stars as Nixon. Mr. Shearer collaborated on the book and lyrics for “J. Edgar! : The Musical,” which drew raves at The Aspen Comedy Festival and is currently being developed as a feature film. Should you wish to contact a member of The Lens’ board, please email board chair Martin Pedersen.